Instructions: Buy a package of mixed nuts at grocery store or collect three type of nuts. Place a selection of nuts in a basket or baskets (number containers depends on number of children participating). Make sure you have no more nuts in basket than number of rows on table. We usually make a table with 10 rows. 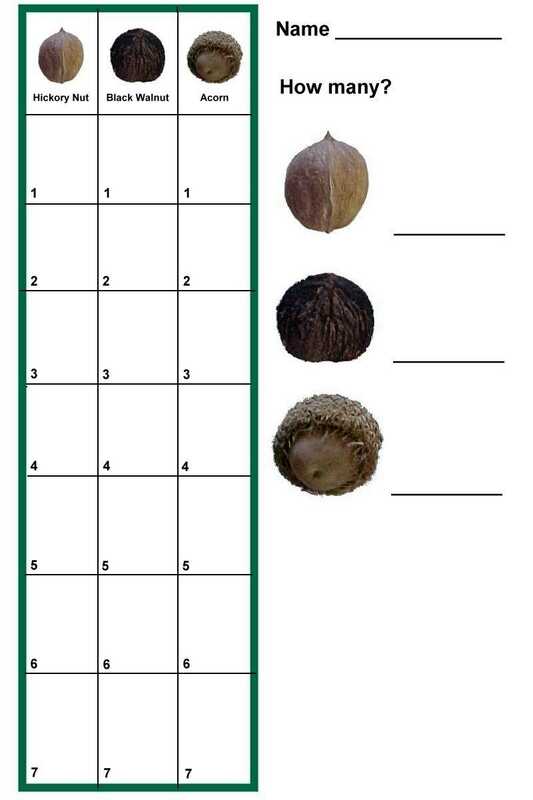 Have student sort the nuts and place in appropriate square on paper. Once nuts are sorted have student remove each nut and make an X in the square. Use a different color crayon for each kind of nut. After all nuts are removed student record number of each variety of nut. Have teacher or aide at each table to help students.